Waldan Paper Services, LLC was originally incorporated in 1981 in Illinois, with Mark Duwe as General Manager. The company was relocated to Oshkosh, WI in 1985. Four years later, Mr. Duwe purchased the assets of Waldan Paper Services from its’ New Jersey parent company in 1989. 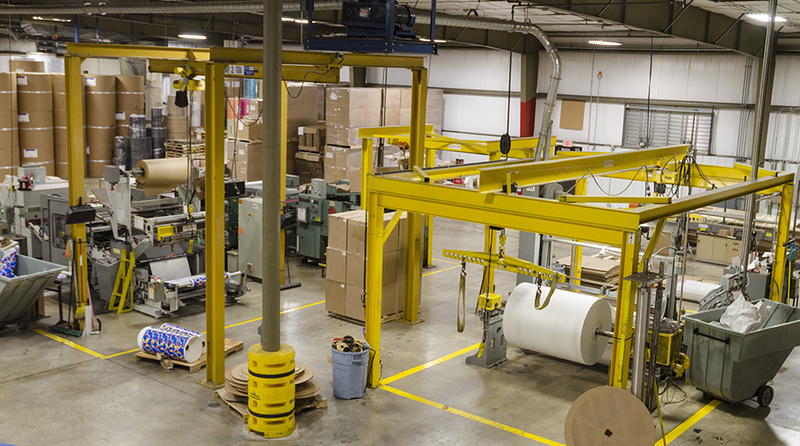 For the next twenty years under Mark Duwe’s leadership, Waldan Paper Services, LLC worked diligently to establish a reputation in their industry for building great relationships with their customers and offering high quality products at a fair price. The company weathered the storms of economic changes by standing behind their products and staying true to their word. Sadly, in July 2014, Mark Duwe passed away, leaving the privately-held company to be governed by his own hand-picked team of trusted advisors along with a dedicated and talented management team. Thanks to Mark’s foresight and concern for Waldan’s family of employees, the company is as strong as ever, and moving boldly into the future. Numerous other printed and converted products and services. The mission of Waldan, is to be the industry leader directing solutions to our customers and potential customers. Waldan stands behind our solutions and always follows through on all our promises. We accomplish our promise by being a growth and customer service oriented value-adding company through continuous improvement.